While there are some amazing and stunning clear and white diamonds out there, we’re definitely suckers for something that looks unique or stands apart from the crowd. 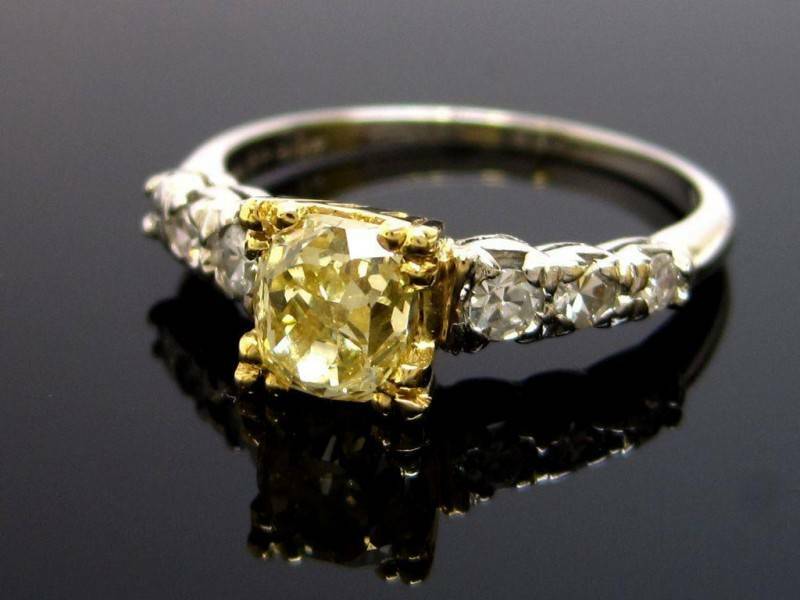 For that reason, we’re big fans of gorgeous yellow diamond engagement rings. If you haven’t had the opportunity to check out just how beautiful these are, then this post will be perfect for you. 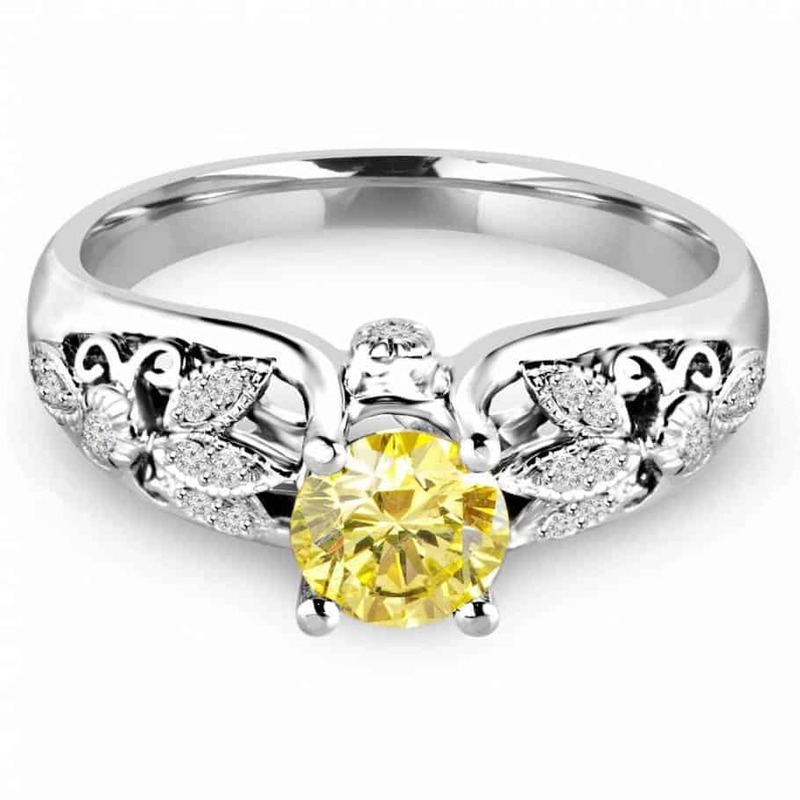 Check out the amazingly beautiful yellow diamond engagement rings available. This beautiful yellow diamond engagement ring features a princess-cut yellow diamond, flanked on either side by smaller white diamonds. It’s a beautiful ring that, although very subtle, feels more ornate because of the color of the diamond. For those who are not a fan of the yellow diamond being the center stone, this unbelievable engagement ring features a tear-shaped center white diamond. 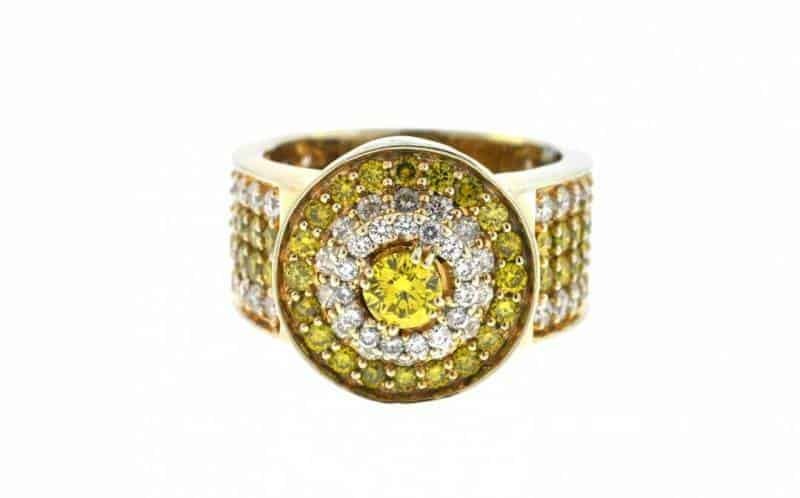 It is surrounded by gorgeous canary-yellow diamonds and the band is an eternity band with white diamonds. We just love this one. Future brides who love an intricately designed ring will adore this one. 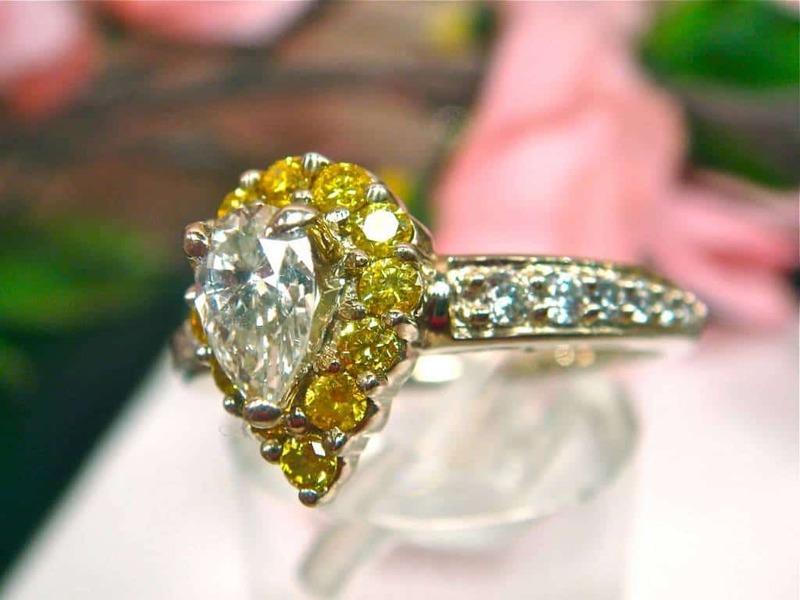 It features a center diamond that is round and a gorgeous shade of yellow. It is surrounded by stylized leaves featuring pave diamonds. Although not a vintage ring, it has a vintage feel and is absolutely stunning. There is also something to be said for the very simple solitaire engagement ring. 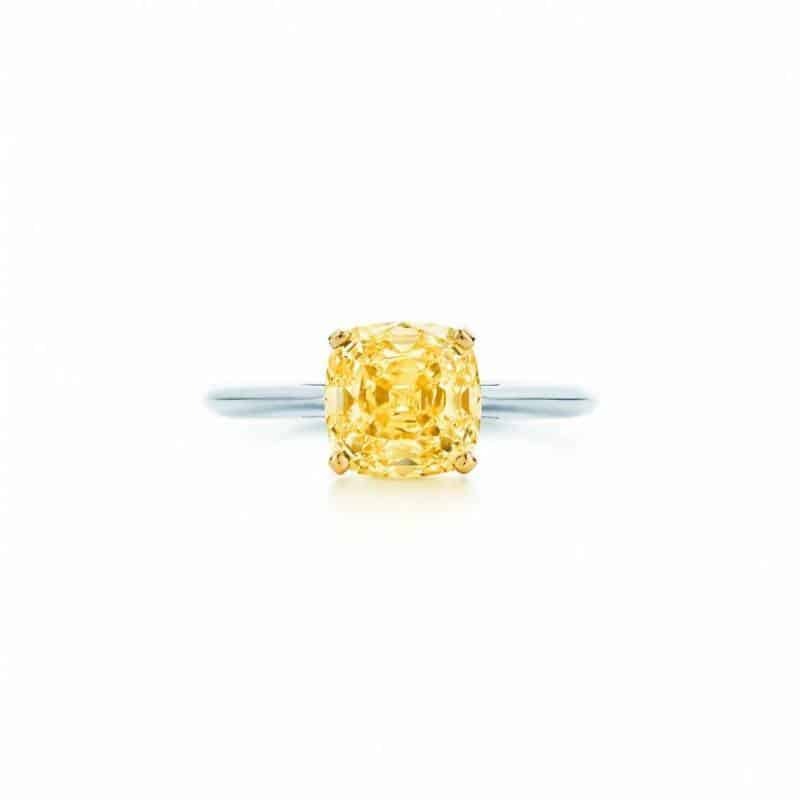 This one, featuring a square-cut yellow diamond set in platinum is remarkable; it’s subtle and elegant but features plenty of sparkle. Certainly not an engagement ring you see often, this amazing yellow-gold diamond ring features a center yellow diamond surrounded by two rows of white diamonds and another row of yellow diamonds. The band is a channel set band with both yellow and white diamonds. The design is very simple, but it has a very sophisticated and eye-catching look. After seeing these beautiful yellow diamonds, would you say that you’d love to receive one for an engagement ring or would you stick to the more traditional white diamonds? Let us know your opinion in the comment below – and don’t forget to tell us which of today’s featured rings is your favorite!